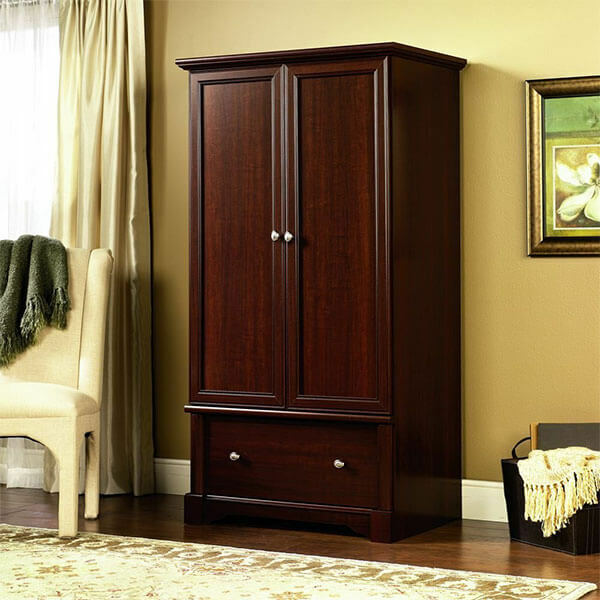 Elegant and sophisticated, the Sauder Palladia Armoire, Cherry is a large and spacious armoire. 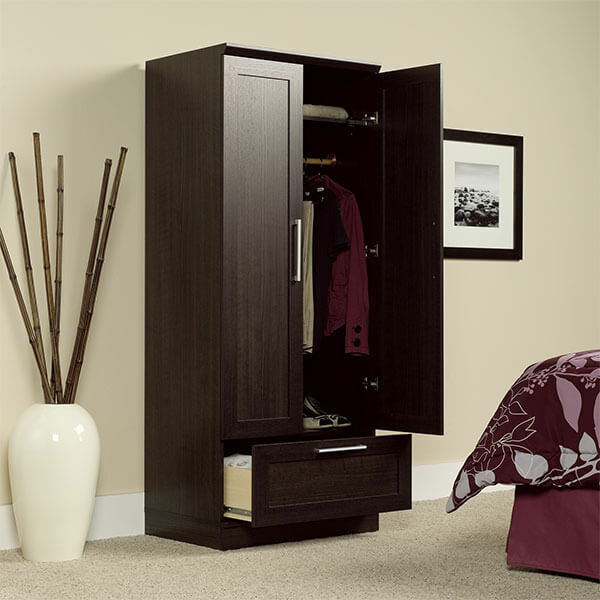 Behind its doors is a space for storing clothes as well as a garment rod. There is a drawer at the bottom with easy-glide metal runners. This unit has been given a cherry finish. Able to work with any of the decor in your bedroom, the Sauder Wooden Armoire is an elegant armoire that features two drawers, a garment bar and a sliding drawer on the bottom. It measures approximately 29 inches in width by 21 inches in depth by 71 inches in height. 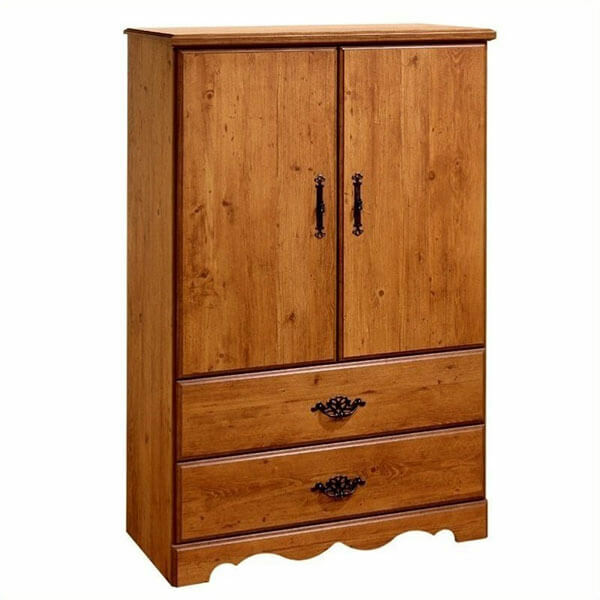 The Best Choice Products Wooden Standing Jewelry Armoire is a tall and slim armoire fit for holding all of your jewelry. This unit has six drawers running up the middle. On either side are two swing-out doors that come with eight necklace hooks. It measures 39.8 inches in height. Two doors hide 3 storage spaces, separated by 2 adjustable shelves. Rustic and simple, the South Shore Prairie Collection Armoire is a wooden armoire that fits into any traditional home. This unit offers three storage spaces hidden behind the doors, those of which are separated by two adjustable shelves. There are two drawers on the bottom of the unit. 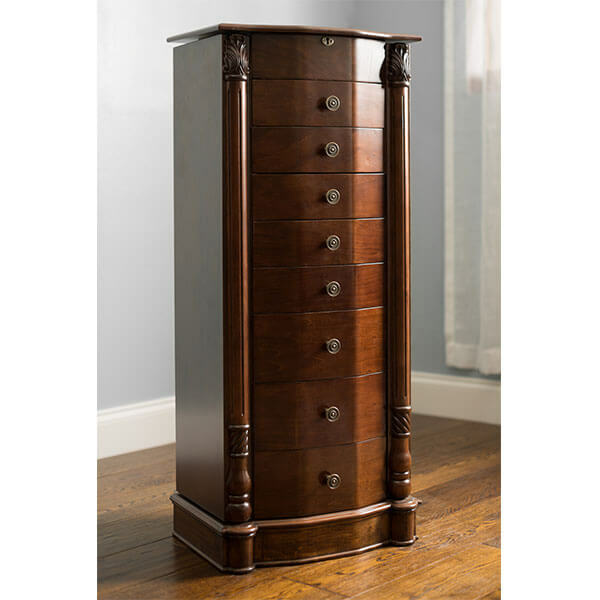 The Hives and Honey Large Floor Standing 8 Drawer Wooden Jewelry Armoire is a slim, yet spacious jewelry armoire fit for any traditional space. It has eight lined and padded drawers running down the center of it, each with their own compartments. There are doors on either side for necklace storage. 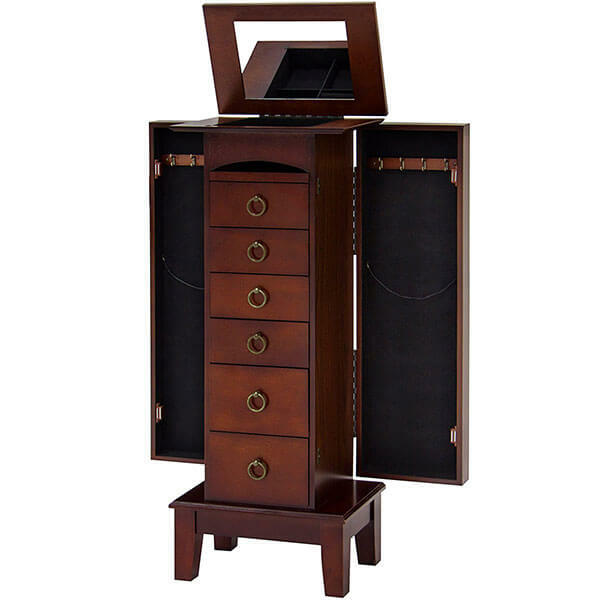 Low to the ground, the Rowling High Gloss Wooden Jewelry Armoire is an ideal armoire for those who are short on space. 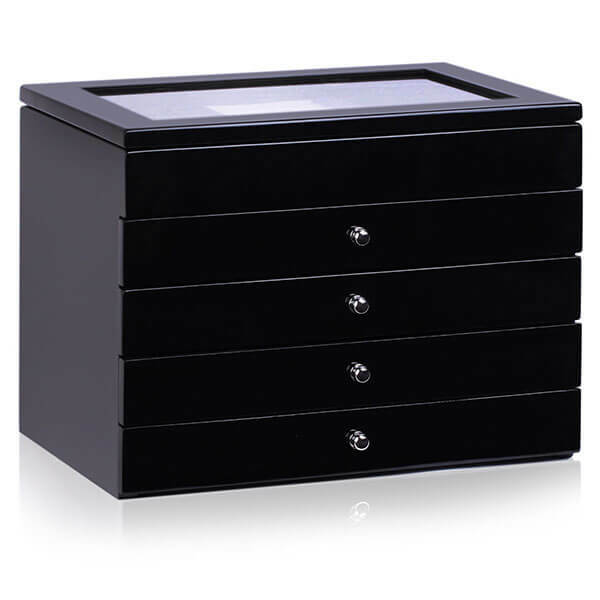 It features five different layers of storage including four drawers with different sizes of compartments. There is a clear glass lid on the top.